Smith of Derby is the world lead in the creation of important public tower clocks. For over 150 years, we have created and cared for over 4,500 public clocks around the world in 50 countries. 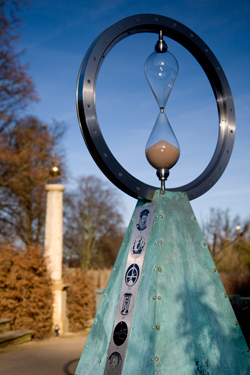 Specialist feature clock creators with full design, manufacture, installation and care services. Traditional or contemporary styles, any size, any height, both electronic and mechanical pieces to suit the application. Landmark creations, include St Paul’s Cathedral, St Pancras International Station Tower Clocks and Emirates Stadium Clock. Whether your desire is for an exterior clock, tower clock, turret clock, projecting clock, pillar clock, restoration, repair, automatic winding, bell chiming systems, or night silencing, your enquiry will be in the safest, most innovative and creative ‘hands’ with Smith of Derby Ltd.